SBS has confirmed TAB, Hyundai, Hisense, Adidas and Mitre 10 as broadcast partners for the 2018 FIFA World Cup. SBS has today announced TAB, Hyundai, Hisense, adidas and Mitre 10 as broadcast partners for the 2018 FIFA World Cup™. Adam Sadler, Director of Sales, SBS Media said: “Football is a sport that unites all Australians and the response to the FIFA World Cup has been extremely positive. It’s fantastic to have TAB, Hyundai, Hisense, adidas and Mitre 10 join SBS for what will be the biggest sporting event in 2018. We have been working with these brands for many months to ensure we can deliver truly integrated partnerships that provide real value and cut through across our multi-platform coverage”. As the official broadcaster of the 2018 FIFA World Cup Russia™, SBS will present the match of the day, every day throughout the tournament along with highlights from every match live, free and in HD for all Australians on television and online via the official FIFA World Cup™ app, The World Game online, and SBS On Demand. 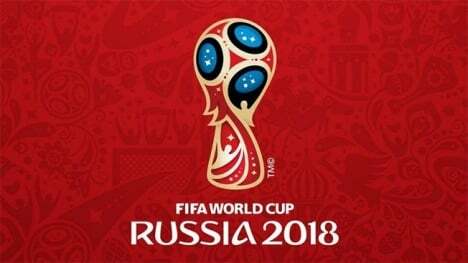 Football fans will also be able to listen to all 64 matches of the 2018 FIFA World Cup Russia™ on SBS Radio where match commentary will be aired in up to three languages simultaneously; English and in languages of the teams competing. The 2018 FIFA World Cup Russia™ kicks off June 14 on SBS. SBS is presenting the 2018 FIFA World Cup Russia™ in partnership with Optus Sport.